Captain Daniel Bradford House. 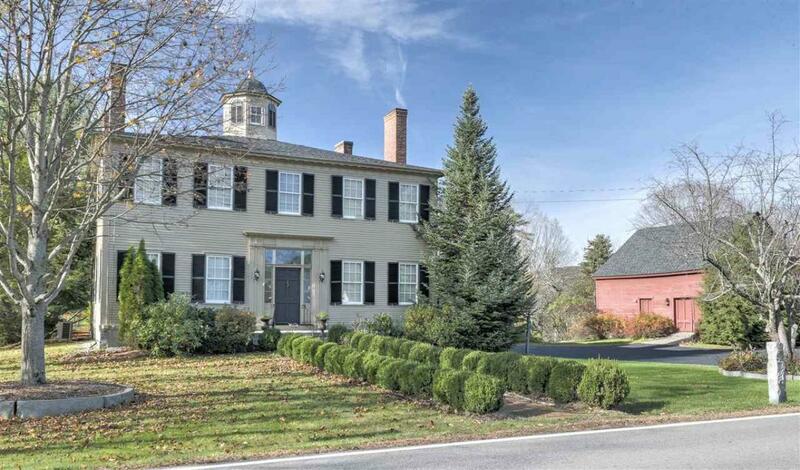 One of Keene's most significant and distinctive homes! Historic Colonial home beautifully renovated with taste and attention to detail. New kitchen, 4.5 new bathrooms, new windows, central air conditioning as well as period details throughout including 9 Fireplaces, 12 ft ceilings, Crown Moldings, Wainscoting, and original Cupola makes this home the absolute best of the past with modern amenities. Screened porch, gorgeous granite terrace, lovely patio all overlook the landscaped, park-like acreage with perennial gardens. With a newly painted exterior this magnificent home overlooks the second green at Keene Country Club and is ready for your family! Attached 2 car garage and separate 3 story barn that was once part of the Keene Summer Theater. Brokers see non-public remarks!